We are excited to offer this 2016 BMW X5. BMW CERTIFIED!! This BMW includes: PREMIUM PACKAGE Multi-Zone A/C HD Radio A/C Climate Control Satellite Radio Power Door Locks Keyless Entry Rear A/C DRIVER ASSISTANCE PACKAGE Back-Up Camera Heads-Up Display Cross-Traffic Alert XLINE -inc: Aluminum Wheels Running Boards/Side Steps HARMAN/KARDON SURROUND SOUND SYSTEM Premium Sound System DRIVER ASSISTANCE PLUS Lane Departure Warning Back-Up Camera Blind Spot Monitor 3RD ROW SEAT 3rd Row Seat Air Suspension COLD WEATHER PACKAGE Heated Rear Seat(s) Heated Steering Wheel *Note - For third party subscriptions or services, please contact the dealer for more information. * Drive home in your new pre-owned vehicle with the knowledge you're fully backed by the CARFAX Buyback Guarantee. 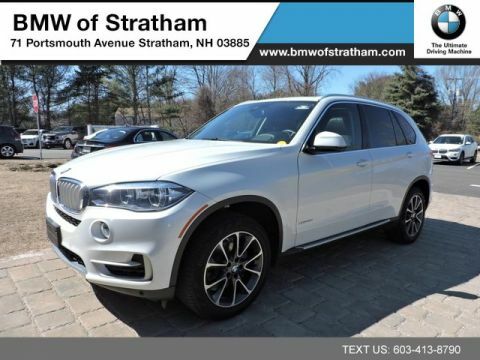 With its full CARFAX one-owner history report, you'll know exactly what you are getting with this well-kept BMW X5. This is a Certified BMW X5, which means it has been thoroughly inspected against a set of stringent standards. Only vehicles that pass this inspection can be sold as Certified. This BMW X5 xDrive35i XLINE COLD WEATHER DRIVER ASSIST PLUS 3RD ROW SEATING NAVIGATION defines excellence in an SUV. It has the convenience of limitless boundaries paired with city sophistication. The BMW X5 xDrive35i XLINE COLD WEATHER DRIVER ASSIST PLUS 3RD ROW SEATING NAVIGATION's pristine good looks were combined with the BMW high standard of excellence in order to make this a unique find. 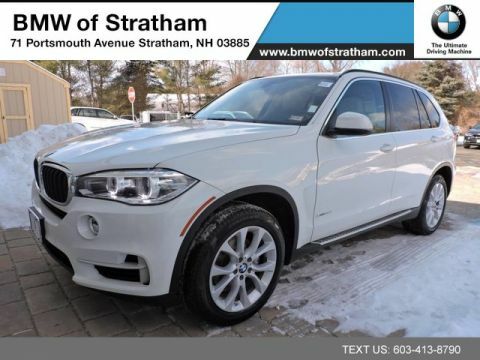 Take home this 2016 BMW X5 and enjoy the safety and added performance of AWD. This 2016 BMW X5 has such low mileage it has been parked more than driven. 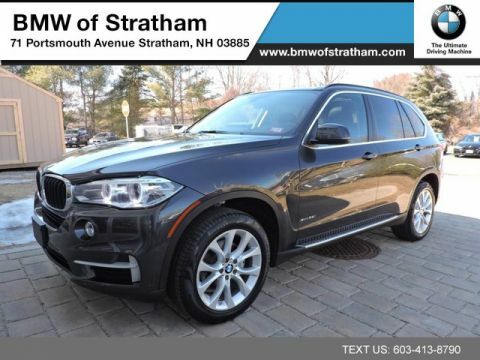 Take the guesswork out of where you are going with the top-tier navigation system found on this exceptional BMW X5. This BMW X5 xDrive35i XLINE COLD WEATHER DRIVER ASSIST PLUS 3RD ROW SEATING NAVIGATION is covered under the BMW reliable & trusted factory warranty. So, if you're in the market for an incredible vehicle which provides the manufacturer-backed assurance that everyone deserves, then this is the vehicle for you. 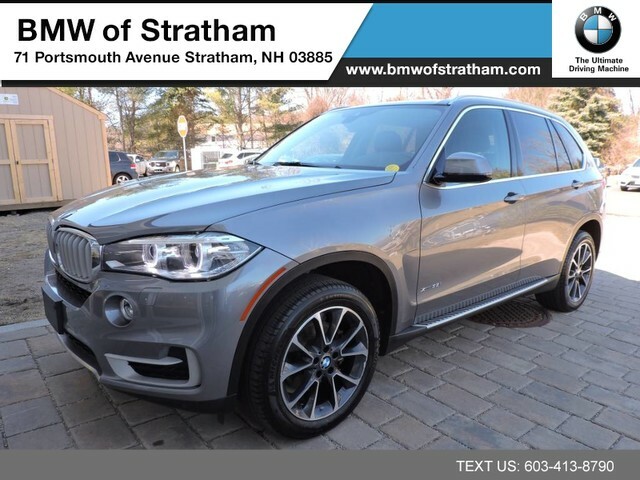 Treat yourself to a wonderful driving experience in this wel- optioned BMW X5 xDrive35i XLINE COLD WEATHER DRIVER ASSIST PLUS 3RD ROW SEATING NAVIGATION. Equipped with the latest in driver comforts, this BMW is the benchmark of modern automotive engineering. Added comfort with contemporary style is the leather interior to heighten the quality and craftsmanship for the BMW X5 We look forward to seeing you soon! Please call us for more information.